George Boleyn, the son of Sir Thomas Boleyn and Elizabeth Howard, daughter of the Duke of Norfolk, was born in Bilickling Hall in about 1504. George was the youngest of three surviving children. Mary Boleyn was born in 1498 and Anne Boleyn in 1499. Henry sent a message to the Pope Clement VII arguing that his marriage to Catherine of Aragon had been invalid as she had previously been married to his brother Arthur. Henry relied on Cardinal Thomas Wolsey to sort the situation out. During negotiations the Pope forbade Henry to contract a new marriage until a decision was reached in Rome. With the encouragement of Anne, Henry became convinced that Wolsey's loyalties lay with the Pope, not England, and in 1529 he was dismissed from office. (12) Wolsey blamed Anne for his situation and he called her "the night Crow" who was always in a position to "caw into the king's private ear". (13) Had it not been for his death from illness in 1530, Wolsey might have been executed for treason. Henry's previous relationship with Mary Boleyn was also causing him problems in Rome. 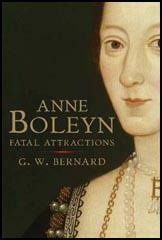 As she was the sister of the woman who he wanted to marry, Anne Boleyn. It was pointed out that "this placed him in exactly the same degree of affinity to Anne as he insisted that Catherine was to him". (14) However, when Henry discovered that Anne was pregnant, he realised he could not afford to wait for the Pope's permission. As it was important that the child should not be classed as illegitimate, arrangements were made for Henry and Anne to get married. King Charles V of Spain threatened to invade England if the marriage took place, but Henry ignored his threats and the marriage went ahead on 25th January, 1533. It was very important to Henry that his wife should give birth to a male child. 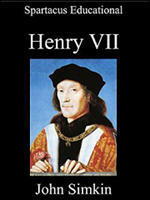 Without a son to take over from him when he died, Henry feared that the Tudor family would lose control of England. Henry VIII continued to try to produce a male heir. Unfortunately, Anne Boleyn, had two miscarriages. Viscount Rochford found himself less influential as a result of Anne not being able to produce a son. (17) Anne was pregnant again when she discovered Jane Seymour sitting on her husband's lap. Anne "burst into furious denunciation; the rage brought on a premature labour and was delivered of a dead boy." (18) What is more, the baby was badly deformed. (19) This was a serious matter because in Tudor times Christians believed that a deformed child was God's way of punishing parents for committing serious sins. Henry VIII feared that people might think that the Pope Clement VII was right when he claimed that God was angry because Henry had divorced Catherine and married Anne. Anne's brother George... went on five diplomatic missions to France and seems to have used his diplomatic bag to smuggle back increasingly controversial works that were banned in France as well as England. They were small, cheaply produced volumes, and were designed for concealment, not display. But, taking advantage of the immunity conferred by status and family connection, George had two turned into magnificent presentation manuscripts for his sister.... In both books, the texts and readings were in French, while the commentaries emphasize, in clear and vivid language, the need for a living Faith in Christ as opposed to the moribund practices of the orthodox Church.